Looking for a web host for WordPress can be a challenge. It took me forever to find the best hosting for my blog when I decided to transfer away from the one I was using. Lucky for you I did all the research and have even used all three SiteGround web hosting plans! In this webhost review, I’ll share the top reasons why there is no other hosting for WordPress that compares to the quality you’ll get with SiteGround. Started by a bunch of university friends in 2004, it’s no surprise that they quickly grew into one of top web host providers. A geeky but important fact is they have worldwide data centers that maintain the highest standards for availability and speed. More good news! SiteGround is NOT an EIG (Endurance International Group) owned web host. Let’s dig into some of the key highlights about why I love using SiteGround and feel extremely confident about my choice. Get a 60% discount on hosting now! As a long time online marketer, I need shared hosting that I can count on. The webhosts I have used in the past (won’t name any names like GoDaddy, BlueHost or HostGator) for WordPress were a royal pain. Many bloggers who promote those hosts don’t even use them! GASP! My sites were slow, had endless problems, and I had to contact technical customer support all the time. It took me a few weeks to get all my research done and finally make a move. From all the technical data and reviews, I decided to go with SiteGround shared webhosting. Here’s why SiteGround is one of the best webhosts I’ve ever used. I hope that you get some valuable insights here. Website Speed on SiteGround Hosting is Super fast! I tested it out for a month with a single website on their StartUp plan. I was blown away just by the increase in speed! Here’s one of my speed tests! The site was loading in less than 1 second! Since site speed is one of many Google ranking factors, that was a big plus and worth it! When I decided to move up to the GoGeek plan, SiteGround took care of it within a couple of hours and it went smoothly. They communicated every step and let me know the progress. I have since moved a few other sites over to SiteGround and remain a happy customer. I have a plan that can host multiple websites so it was definitely worth it! If you are looking for one of the best WordPress webhosts, they make it simple with incredible speed and top security. I was super impressed with how simple SiteGround makes the setup process. After I setup the initial account, it was ready in minutes. Just filled out some information and voila! Now I had a web hosting account. The one-click WordPress install was the easiest ever! Even if you are new to blogging, you can do it too. In comparison, I’ve been on other webhosts where trying to figure out how to install WordPress was like going through a maze of non-intuitive screens. You definitely don’t want that, especially if you are just started out. Stick with the easy to use hosting provider! You can always count on customer support to help if you need it. The SiteGround setup and WordPress install is pretty simple. I did it in a few minutes. If you are like me and moving your site from another host, SiteGround has you covered. You get one free site transfer on your hosting account. What a pleasure to have someone else do it. Honestly the thought of moving it myself was just overwhelming so I am thrilled that SiteGround provides this FREE service. I admit I was a little nervous. I set up the account WITHOUT installing WordPress. I filled out the transfer form (you’ll need your current host account log in information) and hoped for the best. SiteGround communicated with me through their support section every step of the way. Within about two hours, my site was transferred. They also had a method for me to check and review it before I changed my domain DNS over to SightGround from my old host. They are definitely at the top of my list for the best webhost just for the great job they did. Another headache completely avoided because SiteGround did an amazing and flawless job of moving my site! I was seriously impressed with this service. I would definitely pay for it if I had to. Another great example of Sitteground customer service is their efficient and timely manner of getting things done. Since I had to transfer more than one site, I had to do the others myself. It worked out great! Once I set up the account for a domain and installed WordPress, Siteground customer service performed their magic and created a temporary URL for me. I was able to import my blog content, set up the WordPress theme the way I wanted, add all my plugins and configure everything. After I completed that, customer support changed the temporary URL back. Then I pointed my domain DNS to the new server and it was done. SiteGround offers what is called shared hosting. This is the type of hosting that you’ll get at other hosting companies too. This means that the service provider serves web pages for multiple Web sites, from one Web server. In other words, your domain and website will be sharing “web space” with other websites. This is normal, typical and the best option unless you are HUGE company like a news site that would need their own server. With that in mind, here’s your Site Ground web hosting plans. These prices include the incredible 60% discount. All pricing is for a full years paid in advance. Believe me, it’s the best deal! I recommend that you go with the StartUp plan. Should your website needs change over time, you can always upgrade later. I’m sure you’ve read a lot of webhost reviews by now. 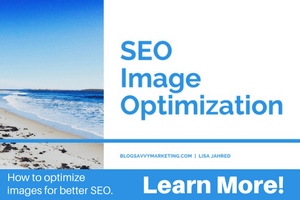 All I can say is that moving to SiteGround was the best decision I made for my websites. I love the speed, innovative technology and low cost. Most of all, I like the simple setup and ease of working with this hosting provider. They actually have expertise in WP. It’s one of the best WordPress webhosts I’ve used. 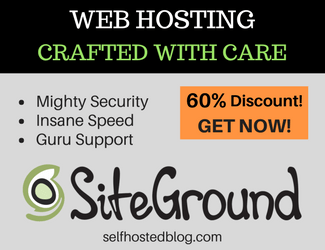 I use SiteGround for my hosting and I am confident to recommend them to YOU! Grab your hosting package now whether you are new or transferring your site. I moved from Wix to Siteground and I love. As soon as I get some money I’m transferring the other site. Thanks for the info! The idea of transferring to another hosting site is frightening, but it’s good to know the option is out there and they do it for you for free. I transferred to SiteGround a few years ago and it’s been smooth sailing!